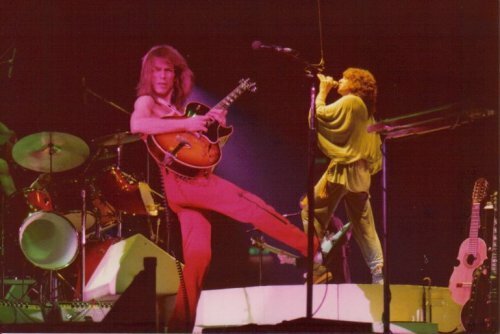 This was my first Yes concert. I remember the build up for it started in the late summer/early autumn when Tormato was released, then there was a piece on Yes in the Daily Mirror, talking about the revolving stage. It apparently cost �50,000. A lot of money then and a lot even now.There was a competition to win one of 50 copies of Tormato if you could come up with a title for the next Yes album. Who won I wonder? Yes blasted on stage to the Close Encounters type intro and mesmerised me with Khatru,Sunrise and so on, all the way to the encore of Roundabout. The following night's show was recorded by the BBC and broadcast on the first ever edition of The Friday Rock Show at 10pm on Radio 1 the following week. 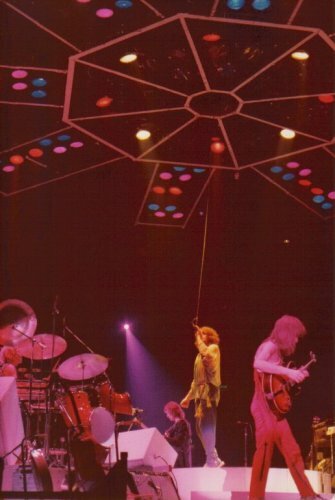 The sheer spectacle of seeing Yes spinning around on the revolving stage has stayed with me ever since. The following week, Sounds reviewed the concert and said "They're still one of the most formidable intellectual powers in the rock scene......it's a clean machine that could run on forever" The NME review said "...don't be surprised if in 15 years Yes are playing their 25th anniversary gigs. Only then they'll be at Wembley Stadium and each seat will have its own personal video screen..." !!! 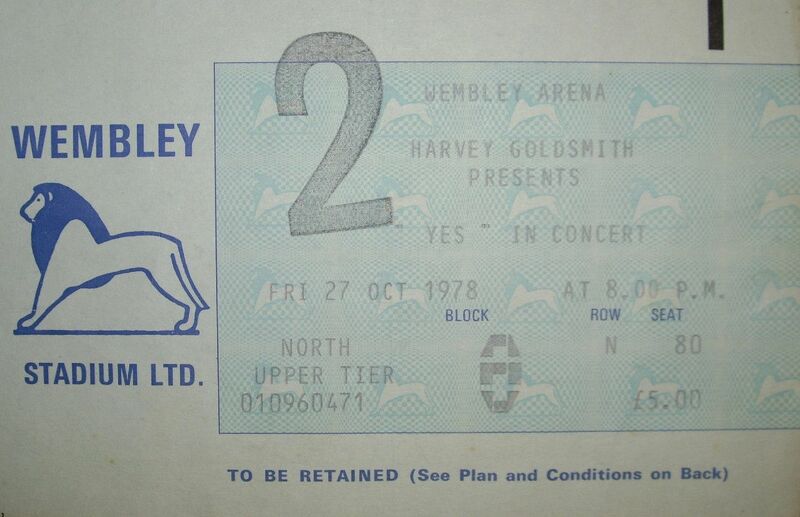 Yes at Wembley Oct 1978. I was just 15 at the time, and my Dad drove myself and my best mate Martin to London from Bath and waited in the Wembley car park whilst we attended the concert. Good old Dad. 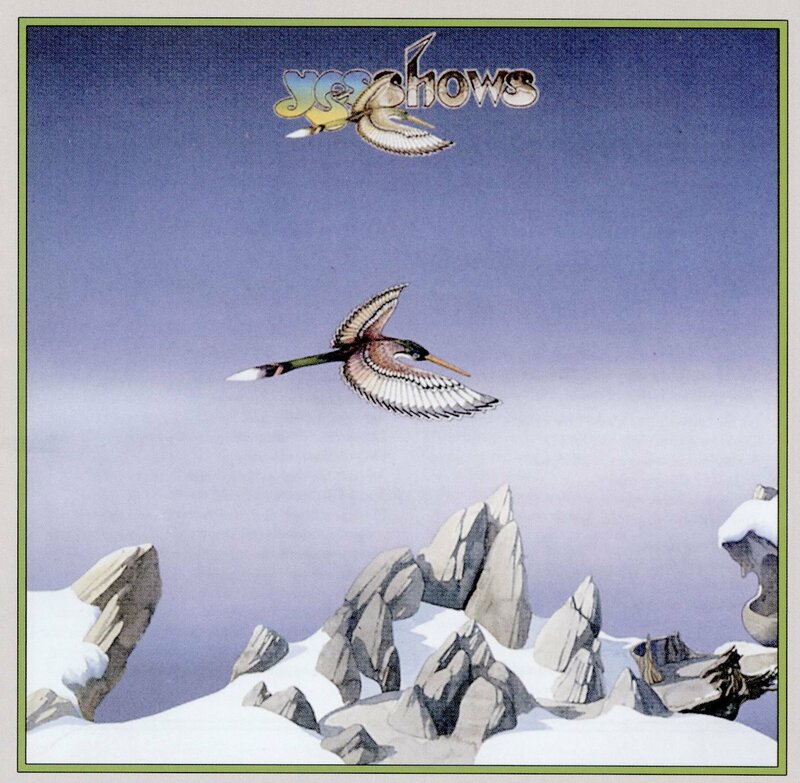 I can�t remember too much about the gig but I remember them opening the concert with Siberian Khatru and Heart Of The Sunrise �just like Yessongs!� I was convinced they must open all their gigs with these songs. I've been a fan of Yes since the age of thirteen and the first album I heared was the Yes album. Unfortuatly none of my mates cared for the band and so nobody was concered about seing the band live. 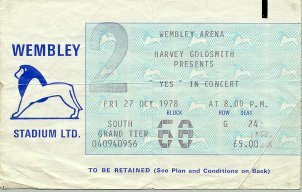 By my 17th birthday I had only seen camel live in Cardiff, Around this time I went on holiday for the first and last time in bournmouth, and fell for a lass that came from London, on a visit to her hometown I noticed tickets going on sale for Yes at Wembley Fri 10th 1978. I can still recall the band running on to the round stage from the wings whilst the intro music blasted out. Not only was the stage circular but to my amazement the damn thing started revolving when yes started playing, which of course is great from the audiance point of view as you get to see good view of each band member,and the sound quality to this very day has not been surpassed by any other band I've seen since, and that includes Pink Floyd preforming the Wall 2 years on. 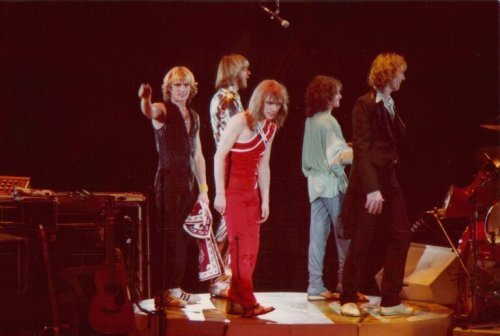 I truly believe that at that concert Yes were at their peak and you could not have got a better group of instrumental perfectionists in one band, the concert higlights for me were the solos, Mr Howes fluent crisp accoustic guitar work, Mr Wakeman,s superb keyboard solo, but best of all was when Chris Squire turn came to solo away, talk about blowng the walls out, it was the fastest and techniaclly brilliant superp bass solo you will ever see or hear, in fact it was much better than some lead gutar solos you hear. 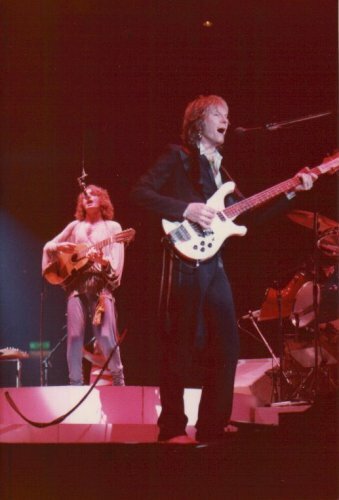 My favourite Yes gig was the Tormato (I think) tour of `79 when they played "in the round" at Wembley Arena for the first time. When we got our tickets we had no idea where we`d be sitting and I was resigned to being miles away from the stage, so I didn`t take my camera, as I usually did and had done the year before for the GFTO tour (got some great slides!) You can imagine how I felt when we discovered we were TWO rows from the stage and I could`ve got some really excellent shots all night long, (using my standard lens) especially during S.H.`s solo when C.S. was sitting on a bar stool next to R.W.`s grand piano, drinking a cocktail and clapping along to "The Clap" with the rest of us. The real highlight was "Starship Trooper" (one of my all-time favourites) which built up to an incredible crescendo at the end, culminating in some soaring keyboards from R.W., the like of which I have never heard since, more`s the pity. Thank you very much...One more time thank you very much, welcome to Wembley. Thank you very much. it seems we are getting together quite a long time now..Indirecectly Play..the Early days at the barkey... you remember, does somebody right? future times and the reading festivals and such, crystal palace travelling the country toonfro (??) we'd like to play some old songs for you. Thank you Thank you very much. OK, This is a song which we dedicated to the people that love the whales. The songs called Don't Killed the Whale. WE'd like to take this opportunity to thank you all so very much for coming this Friday evening all over this place Thank you so much. We should be able to this once in Europe at least (???) . Here's a song for you all then.